Friends of FPMT Losar Campaign Got Some Big Love! “If you can study lam-rim, that should be the main teaching – just like the wandering ascetics, the monks whose only belonging is the Lamrim Chenmo. They don’t have anything else, don’t carry anything but the lam-rim, so like that. So that is the main one to study, to meditate on – the lam-rim. You have to actualize this, otherwise we will suffer. Without realizations on guru devotion, renunciation, bodhichitta, right view and particularly tantra, you will be suffering in samsara endlessly. Do you want to do that? I don’t think so. Find a full range of advice from Lama Zopa Rinpoche on Rinpoche’s Advice page. Go to the Lama Yeshe Wisdom Archive for lots more advice from Lama Zopa Rinpoche. Lama Zopa Rinpoche at Jinsui Farlin Center, Taipei, Taiwan, April 2014. Rinpoche was there to open the center after its very extensive renovation. Jinsui Farlin opened 23 years ago and was the first FPMT center in Taiwan. Please contact the hosts directly with any questions regarding the event. Subscribe to our RSS feed on Rinpoche’s Schedule to receive updates automatically as soon as they are available. 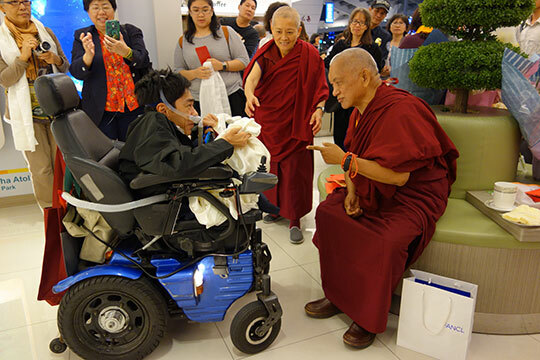 Lama Zopa Rinpoche on arrival at Taipei airport. The flight was nearly one hour early, so students were rushing to get there in time to greet Rinpoche, March 2014. 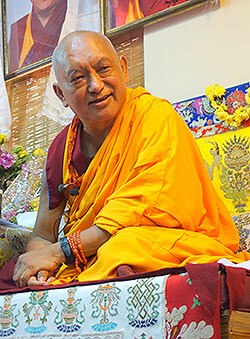 New short videos of Lama Zopa Rinpoche are up on our Videos of Lama Zopa Rinpoche webpage. 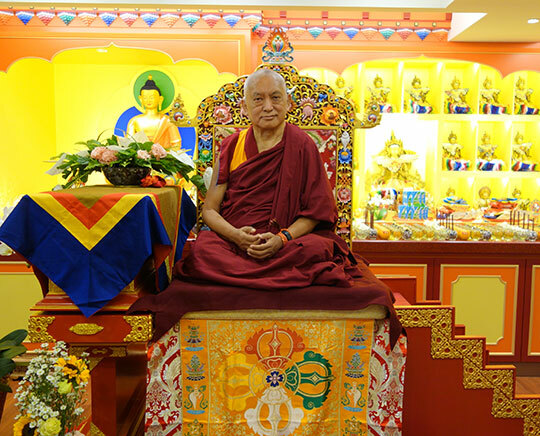 Enjoy daily news about Lama Zopa Rinpoche on the FPMT homepage! Lama Zopa Rinpoche blessing beings in the ocean and all those who come in contact with the ocean using a large Namgyälma mantra board, California, USA, September 2013. Photo by Ven. Thubten Kunsang. The Animal Liberation Fund sponsors weekly animal liberations as well as many other prayers and practices which support the long and healthy life of others. Praise and Prayer to Noble Avalokiteshvara – available in eBook, a4 and letter booklet formats. The Eight Verses of Thought Transformation standalone with phonetics –available in eBook, a4 and letter booklet formats. Program News: Three students graduated from Istituto Lama Tzong Khapa’s Masters Program (MP) Online, a truly remarkable achievement. Even more remarkable, one of these online graduates studied and completed the program from within a USA prison! The center’s residential MP students who completed their studies in 2014 have now entered their one-year retreat and will graduate by the end of 2015. Nalanda Monastery’s Basic Program now provides a homestudy option reaching twenty-plus enthusiastically participating students. 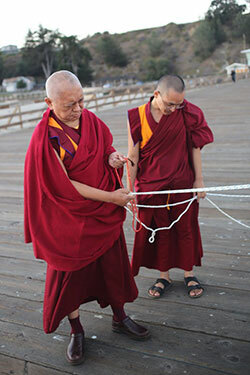 Find inspiration for your practice and connection to the international FPMT community by reading Mandala‘s daily blog. You can see new photos, news and advice from Lama Zopa Rinpoche online as well as updates from FPMT centers, projects and services, or have them delivered to your email inbox five days a week for free. To read new stories or sign up, visit our daily blog! We received over 250 new or renewing Friends of FPMT supporters during this year’s Losar campaign, well exceeding our goal of 108 new Friends. Thank you! If you are interested in joining Friends of FPMT and enjoying some of the great Dharma resources the program supports, please click here. Lama Zopa Rinpoche with the IMI Sangha studying at Sera Je Monastery, India, March 2014. Rinpoche offered lunch to the Sangha – a great South Indian meal on a banana leaf. Some useful Basic Program (BP) course materials were added to the Spanish Basic Program materials webpage in the FPMT Affiliates Area. This update concludes Teresa Vega’s fabulous translation work done as karma yoga for Istituto Lama Tzong Khapa’s Masters Program! Updated 2013 edition of A Practical Guide of Skillful Means is now available for free download in the FPMT Affiliates Area. Need some ideas to keep the whole family – kids and parents – positively engaged in your center? Check out our children’s materials. 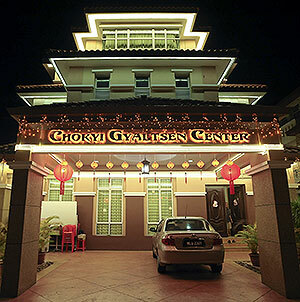 Chokyi Gyaltsen Center, Penang, Malaysia. Photo courtesy of Chokyi Gyaltsen Center. As requested by Lama Zopa Rinpoche, Chokyi Gyaltsen Center, Malaysia, has been able to create an offering of over 100,000 lights. Rejoice in other extensive offerings around the world! Booking is now open for CPMT 2014! If you would you like to hear Lama Zopa Rinpoche share his vision for students and the organization; if you have ideas and questions you would like to discuss with FPMT directors, spiritual program coordinators, board members, teachers and coordinators; if you would like to connect with your international FPMT family and contribute to FPMT’s work to preserve the Mahayana tradition, then you are invited to participate in FPMT’s international meeting – CPMT 2014: Preserving the Dharma Now and into the Future. CPMT 2014 is being held in the Great Stupa of Universal Compassion, Bendigo, Australia, September 13-19, 2014. More information, including the agenda and how to book, is available on fpmt.org. 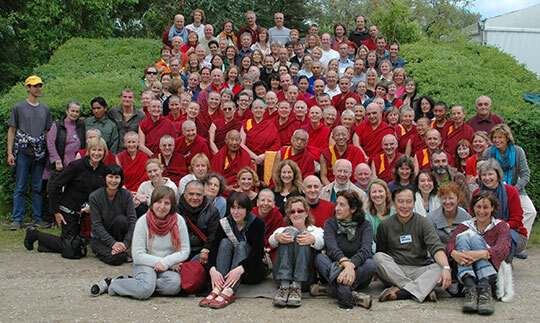 Participants in CPMT 2009, Institut Vajra Yogini, France. 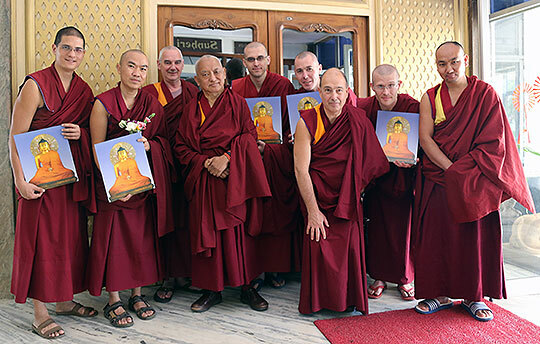 Please check out the regularly updated exciting opportunities to offer service as a volunteer or as paid staff in FPMT centers, projects and services around the world!